Home Educational Hub Is dairy bad for the environment? Is dairy bad for the environment? People may choose to avoid dairy for various reasons, such as: dietary preference, an allergy or intolerance to dairy products, or to promote animal welfare. 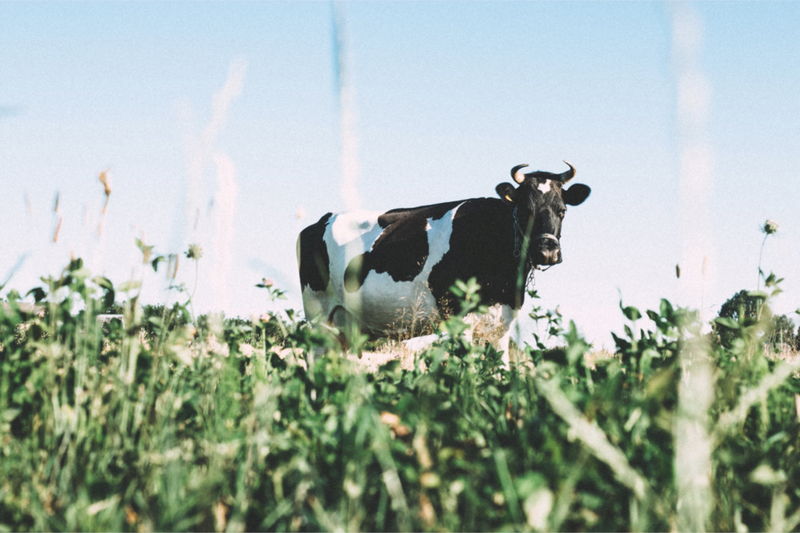 This article will look at another common reason to avoid dairy – whether dairy production has a negative effect on the environment, while considering the wider picture of sustainable eating. Dairy intake is likely to be reducing in line with the rise of veganism in the UK, although this wasn’t reflected in the most recent National Diet and Nutrition Survey (1). However, another recent survey conducted by Ipsos and the Vegan Society in the UK found that veganism has increased by 260% over the past 10 years, and there are now roughly 542,000 vegans living in the UK (2). Intake of plant-based dairy is also increasing in the UK, and it is predicted that this industry will have increased by 43% by 2021(3). There are different ways of defining a ‘sustainable diet’. The Food and Agricultural Organisation (FAO) of the United Nations describes this as: “diets with low environmental impacts which contribute to food and nutrition security and to healthy life for present and future generations. Sustainable diets are protective and respectful of biodiversity and ecosystems, culturally acceptable, accessible, economically fair and affordable; nutritionally adequate, safe and healthy; while optimizing natural and human resources‟ (4). Sustainable choices made by individuals can encourage a more environmentally-friendly supply chain due to the ‘supply and demand’ effect. But it is often argued that changes need to occur at a policy and production level in order to make a significant difference to the environment. Producing meat and dairy is said to release more greenhouse gases into the atmosphere than any other type of food production (6, 7). 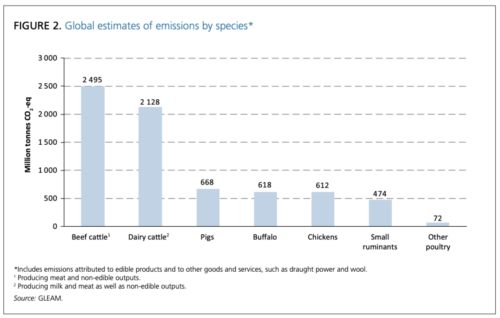 However, beef cattle release more emissions than dairy cattle overall, as highlighted in the below graph from the FAO. Some countries are making good progress in reducing emissions related to dairy. For example, in Northern Ireland farmers have reduced greenhouse gas emissions by 30.7% per litre of milk since 1990, by increasing the amount of milk produced per cow (8). However, overall milk production has also increased by 67% in this timeframe (8). The amount of greenhouse gas emissions related to dairy varies a lot between different farms in the UK (8). But overall, the level of emissions from dairy farms is thought to contribute less than 2% of the UK’s total greenhouse gas emissions every year (the total UK emission related to the food supply is 18–20%) (9, 10). There is also a focus on reducing this further, using sustainable farming strategies such as the Dairy Roadmap (11). Although vegetables have a lower carbon footprint than dairy per weight (12), wider issues in crop production also need to be taken into account. This includes: water use, land use, the energy needed for heat lamps, and using strong chemicals which can impact the local environment (13). For example, as compared with cow’s milk, producing soya milk is significantly less damaging in terms of: greenhouse gas emissions, land use and water supply (12). However, producing almond milk uses roughly 17 times more water than cow’s milk per litre, but cow’s milk emits nearly 10 times more greenhouse gases per litre (14). A Swedish study also found that greenhouse gas emissions were 16 – 41% lower when cow’s milk production was substituted for oat milk production (15). However, oat milk production was seen to cause more environmental acidification (where chemicals decrease the pH of the sea or soil) as compared with cow’s milk. So this can be a very complicated picture, and more studies are needed which look at the full picture of sustainability. But overall, production of most plant-based dairy alternatives is seen to be better for the environment as compared with cow’s milk (15). 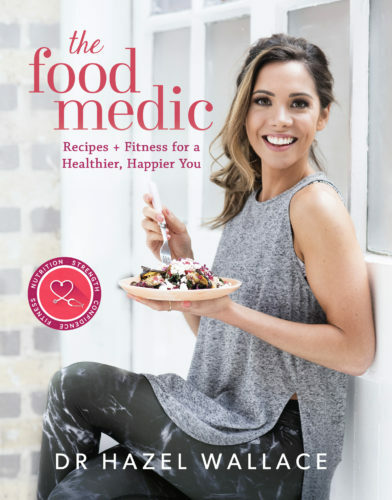 The British Dietetic Association also supports the replacement of some dairy products with suitable plant-based versions, where appropriate, in order to encourage sustainable eating (7). 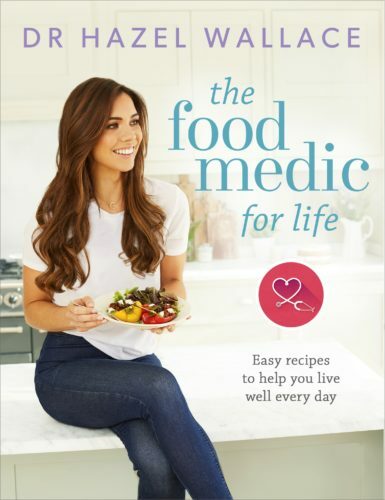 The current healthy eating guidelines in the UK (the Eatwell Guide) emphasize including plenty of plant-based options in the diet, without avoiding meat and dairy altogether (16). 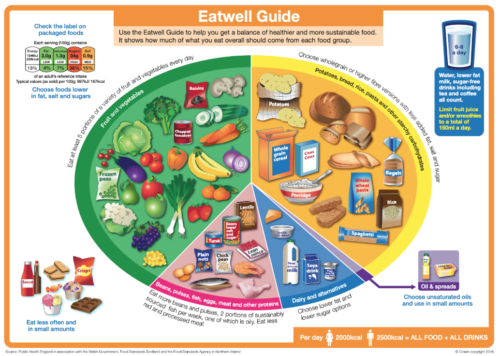 Although the Eatwell Guide references sustainable eating, such as choosing sustainable fish and including plenty of plant-based foods in the diet, other countries but more of an emphasis on this. For example, the Swedish guidelines provide practical advice on how to choose sustainable fish, meat and oils (17). Similarly, the Brazilian guidelines stress the importance of sustainable food systems (18). 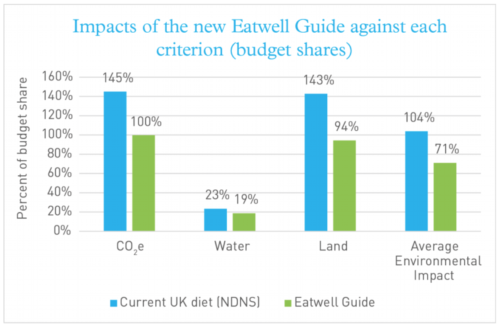 An analysis by The Carbon Trust found that if the UK population followed the Eatwell Guide, it would have a 33% lower environmental impact as compared to the results of the National Diet and Nutrition Survey from 2008 – 2012 (19). Similarly, an American study found that significantly lower greenhouse gas emissions can be achieved by following a cost-effective diet that meets healthy eating requirements, without completely avoiding meat or dairy products (10). The FAO definition of a sustainable diet doesn’t just focus in the environment – it also highlights the importance of a nutritious, affordable and culturally acceptable intake (4, 20). For example, sugar is said to have the lowest water, land and energy cost to produce out of all crops, but it wouldn’t be healthy for many populations to further increase their intake of sugar (21). Therefore, the overall environmental impact of dairy production needs to be considered in line with its cost and nutrient profile, as compared with plant-based alternatives (20). Unfortunately, there is not much research which takes all of these factors into account. Some studies from France and the US have found that dairy products provide a small amount of calories, but a high intake intake of: good quality protein, calcium and other vital vitamins and minerals in an affordable way (20). Specifically, dairy provides: protein, calcium, iodine, certain B vitamins phosphorus and potassium (22). Some types of yoghurt and fermented dairy products like kefir also provide gut-friendly bacteria (probiotics). There is no replacement for dairy which completely matches its nutritional profile, as most plant-based milks are very low in protein and aren’t always fortified with important vitamins and minerals. However, fortified soya-based dairy alternatives tend to have the most similar nutritional profile to cow’s milk products. If buying plant-based dairy alternatives, always make sure that they are fortified with: calcium and vitamin B12; some companies are also starting to fortify with iodine too which is a plus. Calcium fortification is especially important, as dairy is our main source of calcium in the UK. Furthermore, 22% of young women and 11% of young men in the UK already don’t consume enough calcium (7). Some people also opt for unsweetened versions, as standard plant-based milks often contain added sugar. Other plant-based sources of calcium include: tofu, tempeh and pinto beans. Figs, oranges, almonds, brazil nuts, chia seeds, pistachio nuts and green leafy vegetables (like: pak choi, kale, brussel sprouts and broccoli) also contain calcium, but in much smaller amounts (23, 24). For example, you would need to eat 63 brussel sprouts to get the same amount of calcium as a glass of cow’s milk (22). 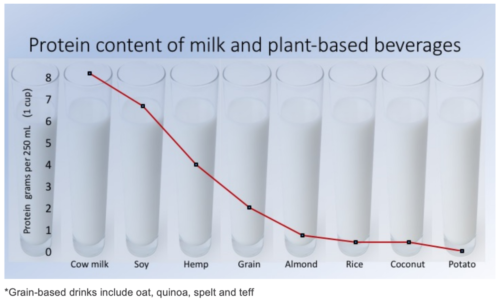 It is important to bear in mind that plant-based milks, with the exception of soya versions, are often not appropriate for young children to use as their main drink. 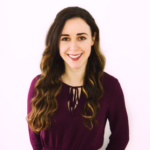 For example, the ‘Dietitians of Canada’ group highlight that most plant-based milks “are not nutritionally adequate if the child has only small servings of high protein foods” (25). Furthermore, soya- based products aren’t recommended for babies under 6 months old, and rice milk is not recommended for children under 5 years old (26). If you are raising a baby or young child on a dairy-free or vegan diet, it can be important to get support from a dietitian in order to avoid serious complications related to malnutrition. The concept of eating sustainably to protect the environment is complicated as there are so many factors are involved. Most plant-based alternatives to dairy tend to be more environmentally-friendly than dairy products. However, it is important to remember that dairy is a really nutritious and affordable food. Dairy production is not as harmful to the environment as compared with meat production, and attempts to farm dairy more sustainably have been quite successful in the UK. All in all, a moderate amount of dairy products can be included as part of a nutritionally-adequate sustainable diet. But fortified plant milks can be a good alternative for those who wish to reduce their dairy intake, in a healthy and environmentally-friendly way.